Countries in the Asia-Pacific region face multiple energy-related challenges, which are driving them to transform their energy systems. First, there is a need to increase energy supply by some 60 per cent by 2035 to meet the growing demand associated with the rapid urbanization, industrialization and economic growth taking place. Second, achieving national energy security is required to protect economies from price fluctuations and market instability and to reduce dependence on imported energy. Third, energy access needs to be provided to over 420 million people who lack access to electricity and to an additional 2.1 billion people who rely on traditional biomass for cooking and heating. Finally, a shift to the use of low-carbon energy resources and diversification of the energy mix are required to enhance energy security, reduce environmental impacts, especially air pollution, and meet global commitments pertaining to climate change. Addressing these energy challenges is an integral part of the implementation of the 2030 Agenda for Sustainable Development, including ensuring access to affordable, reliable, sustainable, and modern energy for all. Tackling these multiple energy-related challenges necessitates a transition in the way energy is generated, transmitted and consumed. Major components of this transition are enhanced energy efficiency, increased renewable energy in the energy mix, improved energy access and better connectivity across the region. While the energy sector in many countries is slowly being transformed, the pace of the change needs to be accelerated. 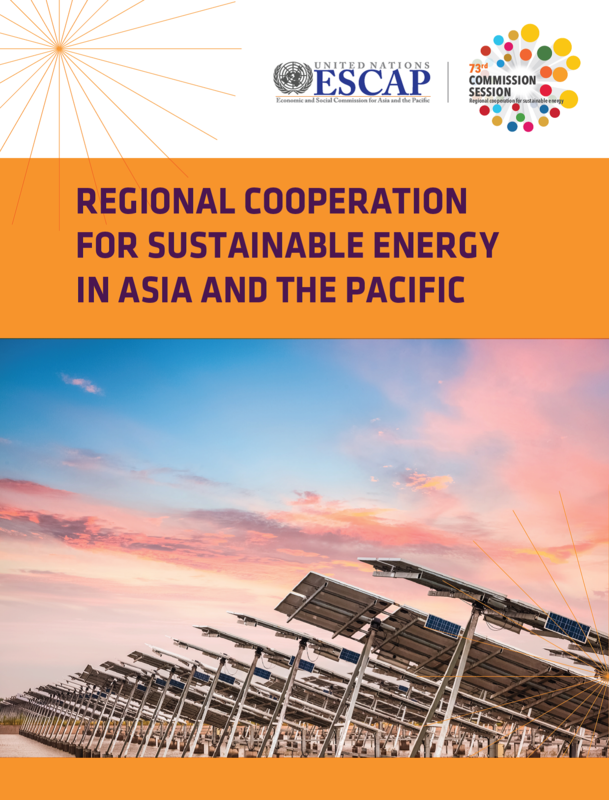 The present publication analyses a number of considerable challenges in the Asia-Pacific region and its efforts to accelerate the energy transition to achieve Sustainable Development Goal 7 (SDG 7).